Is donor milk safe for preemies? When your preemie is in the NICU, it is very likely that you’ll be asked to consider using donor breast milk, in one form or another. Whether it’s to provide milk because you are unable to produce enough milk for your baby, or it's to provide an important supplement which adds calories and nutrients to your own breast milk, the reality is that human milk products are becoming more and more common place. When new parents are presented with this information, they may have mixed feelings about it. So let’s take a look at what’s involved. What types of donor milk products exist for preemies in the NICU? There are two major uses of donated human breast milk in the NICU: ready-to-feed plain breast milk, and breast milk fortifier. 1. Donor Milk. When a baby’s birth mother is unable or unwilling to pump milk, Donor Milk can be used. In the NICU, this will be a pasteurized milk from an accredited milk bank, and it is used exactly as a mother's own milk might be used. 2. Human Milk Fortifier (HMF) is another important source of nutrition for preemies. This is added to breast milk - either a mother’s own milk or plain donor milk - in order to add valuable calories and nutrients to the baby’s diet. Rather than being made from dairy (cow) milk, as has been the standard for years, it can now be made from donated human milk. This is an exciting new option because preemies tolerate diets of human milk better than they tolerate diets of dairy based diets. While most HMF's are dairy based, there is one company currently producing human-milk based HMF - Prolacta Bioscience, based in California. Is Donor Milk and Fortifier safe? This is the main question preemie parents have, and it’s a wise one to ask. The short answer is yes, it is quite safe. But let’s look closer. How can we know it’s safe? Almost all NICU's will require that any donor milk used come from an accredited milk bank such as those that follow the strict guidelines established by The Human Milk Bank Association of North America. Donors are thoroughly screened, with phone interviews and screening questionnaires more rigorous than required for blood donation. Then, donated milk is pasteurized and tested for any bacterial growth, with any growth resulting in the milk being rejected. Each donor is screened again after four months if she wishes to continue donating. Full microbiological panel including Aerobic count, B. cereus, E. coli, Salmonella, Pseudomonas aeruginosa, coliforms, Staphylococcus aureus, yeast, and mold is completed on each pasteurized bottle. Why is it important for preemies? 1. 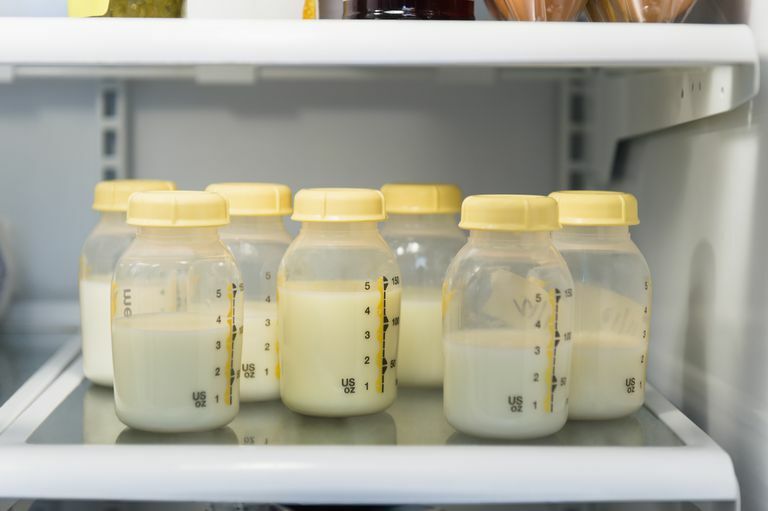 The American Academy of Pediatrics recommends donor milk for preemies and low-birth-weight babies in the NICU when mother's own milk is not available. decreases the incidence and severity of bacterial meningitis, bacteremia, diarrhea, respiratory tract infection, necrotizing enterocolitis, otitis media, urinary tract infection, and sepsis in preterm infants. May reduce the incidence of insulin-dependent (type 1) and non–insulin-dependent (type 2) diabetes mellitus, lymphoma, leukemia, Hodgkin’s disease, overweight and obesity, hypercholesterolemia, and asthma. If you are considering donating your excess breast milk, you may be helping save the life of a preemie. It's an incredible gift of life. Visit the non-profit Human Milk Bank Association of North Americ Donation page or the for-profit Prolacta Biosciences Find-a-Milk-Bank page. For other countries’ milk banking organizations, please see International Milk Banking or United Kingdom Association for Milk Banking. Cristofalo, Elizabeth A., et al. "Randomized trial of exclusive human milk versus preterm formula diets in extremely premature infants." The Journal of pediatrics 163.6 (2013): 1592-1595. Eidelman, Arthur I., et al. "Breastfeeding and the use of human milk." Pediatrics 129.3 (2012): e827-e841. Perrine, Cria G., and Kelley S. Scanlon. "Prevalence of use of human milk in US advanced care neonatal units." Pediatrics 131.6 (2013): 1066-1071.